The Online MBA at University Canada West is a two-year part-time program for working professionals. With the flexibility to earn a powerful business degree while pursuing their career goals, candidates of the Online MBA receive the best of both worlds. Graduates of the program are equipped with refined skills in dealing with complex business scenarios, pragmatic problem-solving, communication and business ethics. With the Online MBA at University Canada West, candidates receive an online education that matches the quality and benefits of face-to-face tuition. Courses are held via UCW's cutting-edge online learning platform and are guided by the talented UCW faculty. Online, candidates are able to interact with faculty, tutors and their peers via forums and collaborative project work. The online portal is accessible from anywhere, 24 hours a day and is equipped with a full online library. The curriculum of the UCW Online MBA has been carefully designed to reflect the demands of business in today's globalized markets and the needs of contemporary business students. Courses and programs are designed via a collaborative effort between faculty and the students, alumni and business leaders which serve on UCW's academic council. With University Canada West's unique approach, candidates can apply previously earned business qualifications or university credits to their final degree. As a result, qualified candidates have the opportunity to skip over unnecessary courses and complete their degree ahead of schedule. Create and carry out strategic action plans for business challenges/opportunities. Recognize and assess the ethical implications of business activities. Develop, enforce and analyze solutions to business problems. Design business decisions and perform a systematic inquiry that reflects critical thinking. Work effectively in teams and collaborate in a diverse group. Act as an effective leader throughout the problem-solving process, resulting in the successful completion of projects and tasks. Apply personal values and perspectives to problem-solving and take ownership of decisions. Communicate ideas persuasively (written and oral) via a thorough understanding and analysis of available information. Collect, assess and formulate information in a business context. Applicants without a Bachelor's degree must have at least 5 years of professional work experience. Candidates with 5 years of professional experience or a graduate degree may be exempt from the GMAT/GRE requirement. Proof of English language proficiency (TOEFL, IELTS or LPI). Upon completion of the program, candidates will be awarded a Master of Business Administration from University Canada West. Canada University West is recognized by the British Columbia Ministry of Advanced Education and is a member of Global University Systems (GUS). 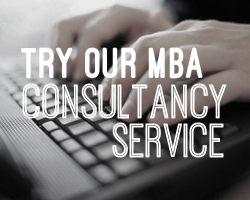 Fill out your details to find out more about Online MBA.